Landmark Direct will work with you to create the right message for your product. From scripting through editing, we will keep you updated throughout the entire process. The first step of the production process, scripting, will outline the commercial message. While we have a dedicated staff to handle this aspect, your input is invaluable. We will not shoot the commercial until you have approved the script. An integral reason for working with Landmark Direct is our production department, including post production editing. With the use of professional lighting, camera, tracking and green screens, and more, we ensure your commercial meets all estetic and artistic traits. All commercials are produced to broadcast quality standards, and you will receive a master copy for future use (trade shows, website, sales material, etc.). In the end, your product is the star. We will focus on the product and its benefits throughout. No amount of camera tricks or catchy slogans will overcome the deficits of an inferior product, which is why we thoroughly evaluate all products before agreeing to work with them in our DRTV Premier Program. From the first airing and onward, DRTV campaigns are constantly evolving. For this reason, we are continuously evaluating your campaign and making necessary changes to reach the proper target audience. 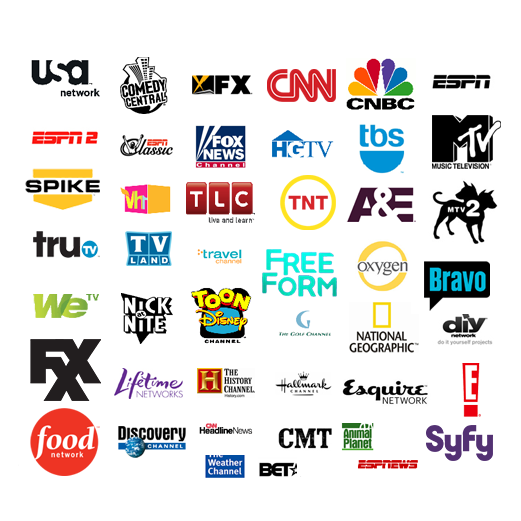 We can purchase media time direct from cable companies, media agencies or networks directly. All aspects of the campaign will be monitored and handled by Landmark Direct, including scheduling, telemarketing, and fulfillment. Click on the TV Networks link to view a sampling of the networks we use to broadcast your commercial. All sales calls during the television campaign are professionally answered by a dedicated call center. Calls are handled 24 hours a day, seven days a week with complete rollover capabilities, meaning there will not be an unanswered call or busy signal. Beyond that, each operator has a professional script and product information at their disposal to effectively answer any questions that may arise. Also, we will not deluge a buyer of your product with secondary offers of unrelated merchandise or services other than your own. When working with Landmark Direct, warehousing is a snap. We have dedicated facilities locally with thousands of square feet available and access to more if needed. We provide inventory management and order processing, including pick n’ pack, shipping, and tracking. You can ship your product to us in bulk and we can also arrange shipment directly from your manufacturer. Have Landmark Direct help you turn your product into a DRTV hit.